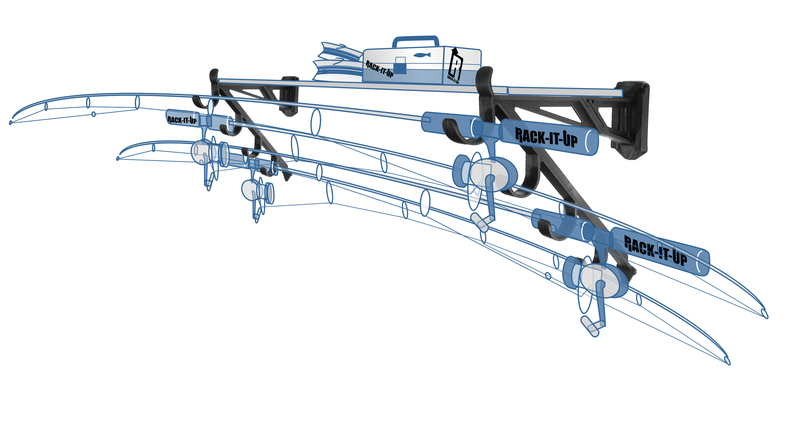 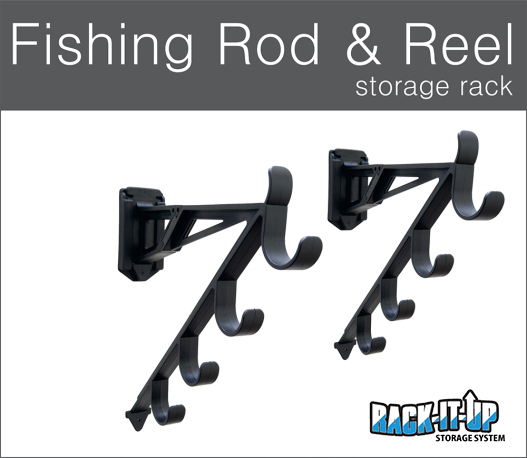 The Rack-It-Up Fishing Rod Storage Rack is designed to allow the storage of fishing rods and reels on an angled downslope utilizing for a more efficient space and has also been designed to accommodate a shelf for extra storage if needed for fishing accessories. 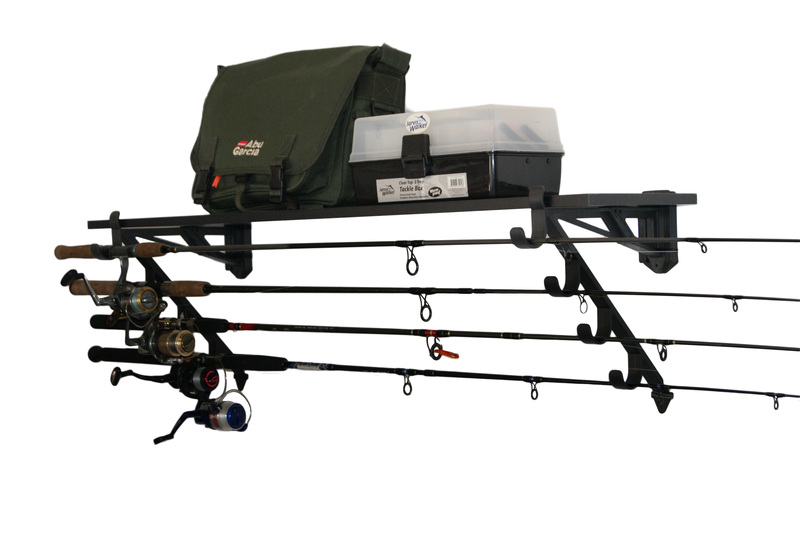 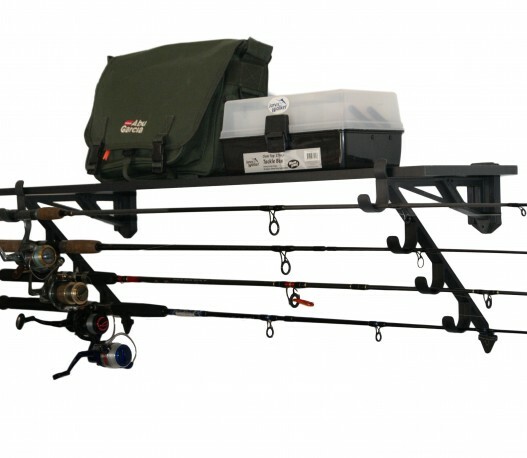 • You can even add a 260mm (10 ¼”) shelf on top which makes it perfect for your tackle boxes or your other fishing gear. 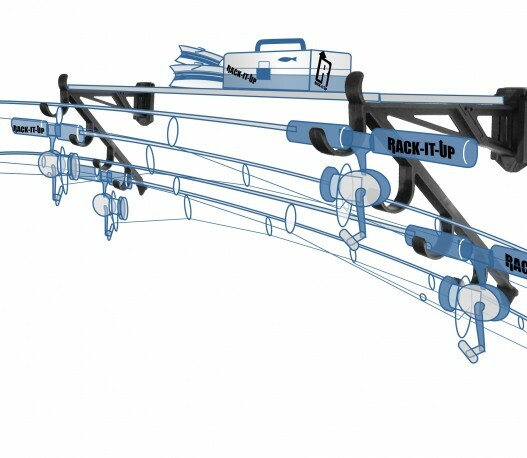 Shelf pictured not included, however is easy to set up yourself; to obtain this setup, we recommend placing a piece of melamine or similar which should be 10.5″ wide (265mm) and whatever length you desire.